Just as the summer rain fell for several weeks in DC and across the east coast, the unemployment rate has fallen to 3.9 percent according to today’s monthly Bureau of Labor Statistics report. This is coming after a rise back to 4 percent in June, which followed several months of record breaking unemployment lows. This dip back below 4 percent is still trending lower than expected and is continuing a trend of job growth that is the largest since the dot com boom almost 20 years ago. 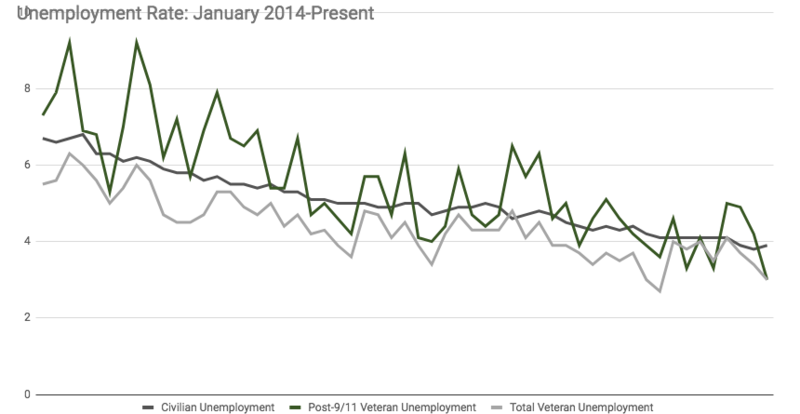 The veteran unemployment rate, including all eras of veterans, dipped to 3 percent. This is good news for the Post-9/11 generation, who now have a historically low unemployment rate, the lowest since it’s been tracked in 2008 and lower again than the general population. Interestingly, veterans of the Vietnam era and older showed an unemployment rate of 4.9 percent this month, much higher than the Post-9/11 low and higher than the national average. This unemployment disparity between the Post-9/11 and older generations of veterans is likely a result of the sample size in the report. Out of all respondents from these older generations of veterans, only 78 reported being unemployed. Additionally, only about 20 percent of Vietnam veterans and older are still actively participating in the workforce, according to the BLS report. So while the rate for these older generations is higher than the younger generations of veterans, this may be an outlier for this month; we will have to see how this trend plays out in later months. July’s Unemployment Report is breaking all sorts of trends. Post-9/11 veteran unemployment is at an all time low. Post-9/11 female veterans had a big drop leaving them at 2.4 percent unemployment compared to men at 3.1 percent. Although we know that the Post-9/11 veteran unemployment for women tends to vary from month-to-month, this is a good sign overall. Hopefully this significant improvement in veteran unemployment has a ripple effect across the entire community. #ICYMI: The RRRP Team Goes Live! 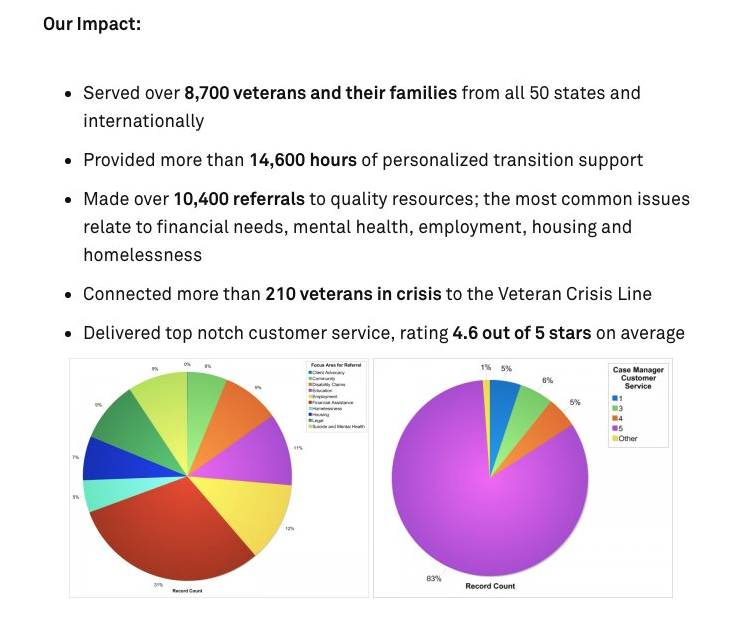 IAVA’s Rapid Response Referral Program has been working hard to improve the lives of veterans and their family members. Issues with employment is one of the biggest reasons that people come to the RRRP team. Out of the 15 cases that the team has handled over the past week, about half involved issues with financial assistance which often stems from a crisis in employment. For example, this year alone the team has helped 32 veterans who were at-risk for homelessness. Just yesterday the RRRP team presented on their work over facebook live, which you can find here. We know employment is a top concern for IAVA members. 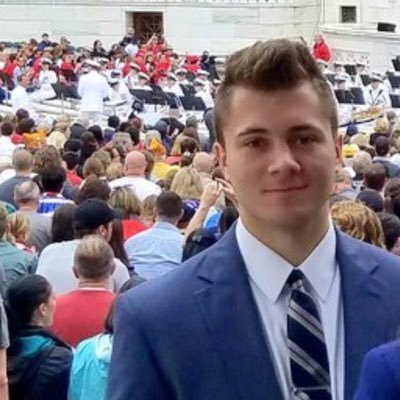 See all our recommendations in the IAVA Policy Agenda here. And if you or someone you know needs employment assistance, our RRRP Team is standing by.